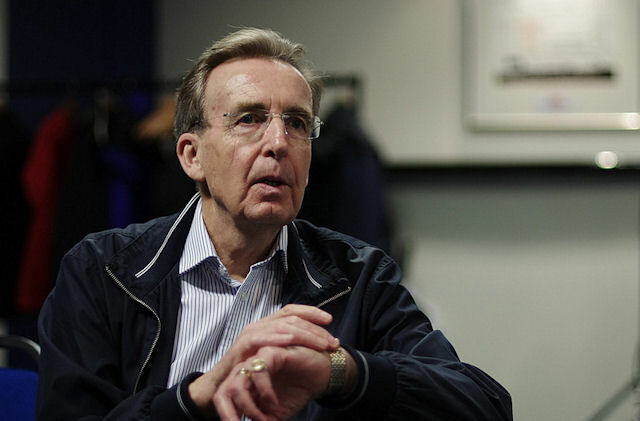 A health scare last year left Terry Griffiths wondering whether he had a future in snooker coaching. But the pull of the sport he loves proved too great and he is looking forward to a new chapter in his remarkable career…. One of the all-time legends of Welsh snooker, Griffiths had an outstanding playing career, highlighted by his World Championship triumph in 1979. He remains the only player to conquer the Crucible on his debut in the sport’s biggest tournament. “I’m in the final now, you know,” was his unforgettable comment, before he beat Dennis Taylor 24-16 to take the trophy. Griffiths, who worked as a postman in his home town of Llanelli before turning pro, also won the Masters in 1980 and the UK Championship in 1982, making him one of only ten players in snooker history to have won the three biggest titles. He retired from the professional game in 1997 but has remained closely involved in snooker ever since as a television commentator, and arguably the sport’s best respected coach. Over the last two decades he has worked with many prolific tournament winners, including Stephen Hendry, Mark Williams, Stephen Maguire, Marco Fu, Mark Allen, Barry Hawkins, Ali Carter and Joe Perry. ‘Griff’ – as he is known backstage – is a familiar and universally admired figure on the circuit. So it comes as a relief to all that know him that the 67-year-old will continue to work as a coach despite recent changes to his personal and professional circumstances. Last year, Griffiths underwent a major operation to replace the aortic valve in his heart. “I was told by the cardiologist that I was very close to having a heart attack,” he recalls. “The operation was fine, but I didn’t have a good recovery. It changed my outlook on life. I had thoughts about death, which I had never considered before. I had always just felt that when it’s your time, you die. But when it suddenly hits you in the face, it changes you. I didn’t handle it well. I had a bad three months, where my mind went into a few dark places. Before the operation I was warned that during the recovery, my emotions would be twisted all over the place and that there would be lots of nightmares. “I waited a long time for the operation in the first place, so when it came around, I was so keen to get it over with that I didn’t prepare mentally for what would happen afterwards. I was disappointed in myself because mental preparation is exactly what coach players on. Thankfully I have come to terms with it now and realised that there are people a lot worse off than me. A friend of my wife’s was in hospital for 12 months. So what I went through wasn’t all that bad. “The health problems came at a time when my career was changing as well, so there was a decision to be made. My son told me that everything happens for a reason, and I wondered whether the health problems were telling me that I should retire. At my age I don’t find the travelling easy – it gets me down a bit. Previously, Griffiths had always been employed by snooker management agencies – first 110Sport and then On Q Promotions – to coach their contracted players. Now, both of those agencies have ceased to operate, so Griffiths has been forced to go it alone. “For the first time now, in my career as a coach, I am freelance. That’s a new challenge for me,” he said. “I had a great relationship with On Q and really enjoyed working with their players – although there were one or two I wouldn’t be keen to work with now. When you are coaching a player it’s not always easy to develop a close relationship with him, but I have managed to do that with a few of them. “After the World Championship, I’ll be looking to confirm a small group of top players to work with. Some I will have worked with before, and others will be new – which is exciting for me. I’ve had quite a few calls from players already, which is flattering. I haven’t made my mind up how I am going to structure it yet, because what I don’t want is too many players. At one time with 110Sport I was coaching 14 players, and most of those were either in the top 16 or close to it. And On Q at one point had 29 players, including up-and-coming lads like Kyren Wilson, Sam Baird and Michael Wasley. I enjoyed working with all of them. “I’ll do technical coaching for some players, and psychological lessons for others. For certain players I’ll do both, and go to tournaments with them – which is where I can help them the most. If I see a player is not hitting the ball properly during a tournament, I can correct that pretty quickly. Just being in the dressing room with them, talking to them, helping them relax or giving them a slap in the face, and letting them knowing I’m there if they need me – that’s a very important part of coaching. I don’t mind doing a fair bit of travelling and I will be flexible depending on what different players need. That’s all part of the challenge for me and I am looking forward to it. “After the health problems I thought about retiring, and spoke to my wife about it. But coaching has filled the hole that was left when I stopped playing. I was fortunate to get involved in coaching at that point, and I still really enjoy being involved on the snooker circuit, and coming to tournaments. So I decided to carry on. “I do a fair bit of private coaching as well, away from the professional game, though I’ll probably cut back on that a bit now to focus on the pro players. From now on I’ll have a direct relationship with the players, so I’ll need to able available to support them when they need it.